A security gate for your backyard pool may seem like an extravagance, but in reality, it has many purposes besides aesthetics. It is important that you secure your pool for your own security, your family’s safety, and the safety of the neighborhood. There are several reasons you should have a security gate for your backyard pool. It may seem like it doesn’t happen very often, but drowning accidents are more common than you might think. An average of over 3,500 non-boat related fatal drownings happen each year. Of those fatalities, one in five were children under the age of 14. It is important that you protect your pool from your own children as well as the children of the neighborhood to prevent such accidents from happening when no one is around to protect them. Homeowners insurance usually covers structures outside your home but still on your property, including your backyard swimming pool. Your swimming pool can greatly increase the cost of your homeowners insurance because it poses a liability risk. With some insurance companies, having a security gate around your pool will help bring down your premiums as an extra layer of security limiting your risk. Pool maintenance can be troublesome and expensive enough without adding to the costs. If you do not secure your backyard pool, anyone in the neighborhood could come try to use it while you are away from home. This could mean that your pool could become dirty and contaminated, which puts your family at risk for disease and illness. You can limit your maintenance costs and keep your family safe by having a security gate to the pool to limit unwanted activity. If you have a backyard swimming pool, contact us today to learn more about our security gate and fencing solutions. We can help you mitigate your risk and increase the safety and security of your pool. You love your dog, but you don’t love when he escapes from your yard and runs loose through your neighborhood. Many homeowners are tempted to solve this type of problem by installing an invisible fence, but the truth is that invisible fences pose far more consequences than benefits. 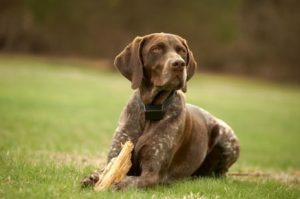 The true solution to keeping your dog safe in your yard is the construction of a sturdy and attractive physical fence. 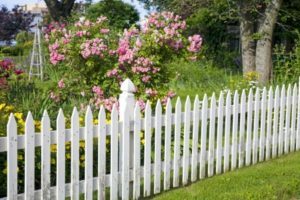 The majority of fences that are built on residential properties are permanent fences that offer important features like added security, curb appeal, and privacy for homeowners. 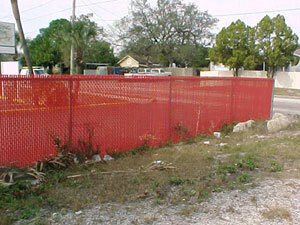 However, there are other very important uses for fences that only require temporary structures to be put in place. 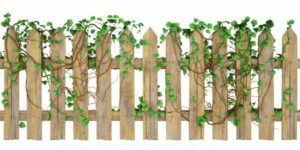 If your backyard fence is looking a bit tired and worn down, the summer is the perfect time to give it a facelift. This doesn’t mean that you need to replace your entire fence or spend a fortune remodeling. 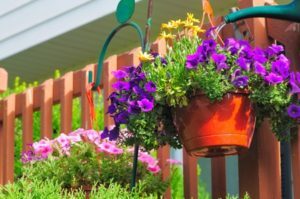 It simply means that you need to get creative and find unique ways to accentuate your existing fence and bring out its best qualities. Paint… Just Not a Solid Color! Is Metal the Best Choice for Your Fence? 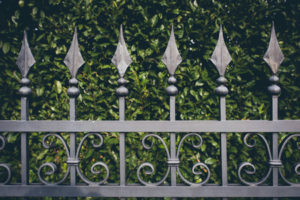 While the white picket fence has always conjured images of quaint suburban life, plenty of homeowners have embraced metal fencing that offers unique benefits in both appearance and functionality. 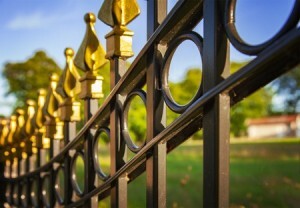 Read on, and you might discover that metal is the best choice for your property fence as well. 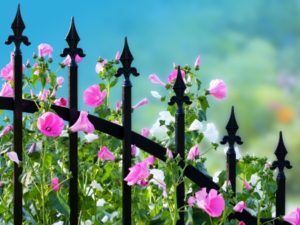 It’s been said that good fences make great neighbors, but what about fences that boast stunning greenery and blooming flowers? There’s nothing quite like attractive landscaping to improve any outdoor feature, especially your fence. However, not all flowers are meant to gracefully climb your fence without causing problems. The following flowers have proven themselves to be excellent accents to any fence. Installing a backyard fence is one of the most valuable investments you can make in your property. 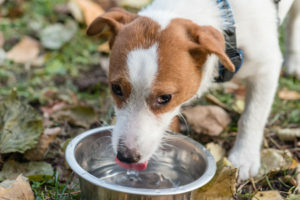 Whether you’re giving your dog a safe place to play, adding privacy from your neighbors, defining your property line, or preventing intruders from entering, your fence will serve a number of important purposes. This means that you want to be sure to build your fence out of the right materials for your goals. 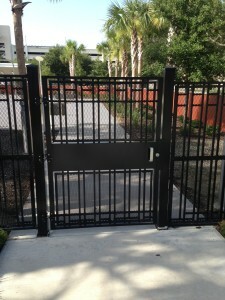 Professional Tampa Fencing and Gate Sales, Service and Installation.